GenBlog: A Family Tapestry – A Must-Read Blog! If you have read my blog for any length of time, you know that each Friday I inform my readers of new-to-me blogs I come across. Most of the time, these are new blogs that have only been up for a few weeks, maybe a few months. Other times, my list includes blogs that I somehow missed when they debuted, which could have been months, or even years before. If you know anything about me, it takes a lot to impress me. I follow numerous genealogy blogs and I don’t normally highlight a specific blog (actually, I don’t know that I have ever done so), but this one has compelled me to do so. I hope you take a few minutes to read through this post to learn a little more about A Family Tapestry and the author, Jacqi Stevens. And by the end, I hope that hop on over and subscribe to this wonderful blog. In January of this year, I came across the blog A Family Tapestry, which Jacqi Stevens created in May 2011, and I’ve been following along ever since. 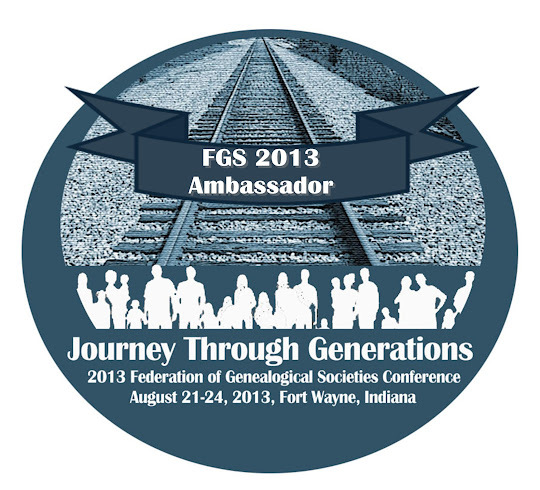 Her passion for genealogy, which she’s been pursuing “forever,” definitely comes through. This blog is a wonderful example of how to put together a successful genealogy blog. Jacqi’s posts are a blend of family stories and how-to articles. Most recently, she’s been taking us along on her journey of applying for membership in the Daughters of the American Revolution. Her unique voice and well-crafted prose is marvelous. Jacqi has such a way of pulling you in, even if you have no research interest in her specific family members. While you learn about her family, you also learn about resources, research strategies, and other useful tidbits that can easily be applied to your own genealogy. This is the one blog I look forward to reading everyday. I always walk away with something, whether a new resource to pursue, an idea to try, or just a smile. Thaks for the recommendation! Have added it to my google reader! Isn't Jacqi a wonderful writer! I am so fortunate that she lives right here in Stockton and we get some face time to talk genealogy and try to solve all the world problems over coffee! Thanks for spotlighting her blog, it is well deserved!